A sequence of illustrations depicting the formation of a tornado. 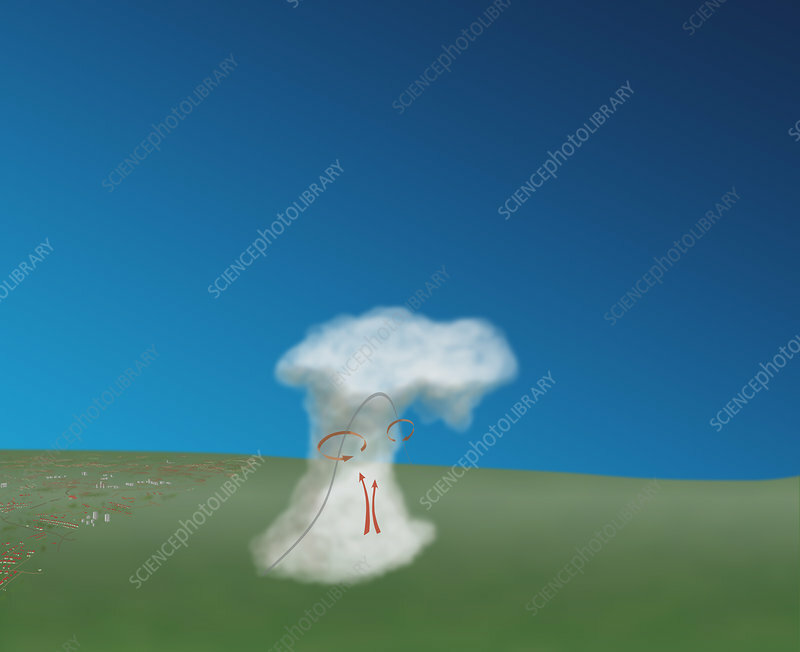 A wind shear forms; surface winds roll air into a horizontal tube. Updraft; Sun warmed air lifts a section of the vortex vertically. A storm forms; one side of the vortex becomes stronger and forms into a thunderstorm, while the other side dies. Supercell; A mesocyclone pulls more warm air up into the storm, allowing it to grow. The spin then intensifies and a rotating column of air will break through the wall cloud and hit the ground. Image 3 of 4.